The History of the Party of Labour of Albania contains a great wealth of experience of the struggle for the creative and resolute application of Marxism-Leninism to ensure national and social liberation and build socialism. The Party of Labour of Albania was founded by the Albanian communists, headed by Comrade Enver Hoxha, on the basis of the communist and worker movement in the country. It arose as a historical necessity to lead the struggle for the national and social liberation of the people. The PLA was formed by the amalgamation of the Albanian communist groups in a revolutionary working class party on the basis of the organizational and ideological principles of Marxism-Leninism. The amalgamation was achieved in the common struggle of communists of various groups against the enemies of the people, against pseudo-Marxist political trends and organizations, against alien viewpoints in the ranks of the groups themselves, by putting the general interests of the communist movement above the narrow interests of the groups. The amalgamation was cemented with the working out and acceptance of a single general line constructed on scientific Marxist-Leninist foundations. The PLA was formed in the conditions of a backward agricultural country. The creation of the Marxist-Leninist Party of the Albanian working class was not hindered by the fact that this class was small in numbers, scattered, unformed as an industrial proletariat, and had not achieved a high level of organizational and political maturity. Besides the working class movement, the movement of the school youth served as a powerful support for the formation of the Party. The secondary school youth and the majority of the Albanian university students were among the first to embrace communist ideas and stood in the forefront of the anti-fascist democratic movement. Under the leadership of the communists, supported and inspired by the working class, they became the bearers of the ideas of Marxism-Leninism and militant patriotism among the masses of the people, thus playing an important role in the founding of the Party and the propagation of its revolutionary line. 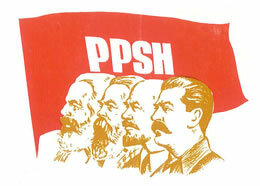 The PLA was the first party of the Albanian working class and has always remained its only party. The triumph of the people’s revolution and the construction of the economic base of socialism were achieved under the leadership of the working class. The complete construction of socialist society, likewise, is being carried out under its leadership. The Albanian working class carried out this historic mission by means of the Party of Labour of Albania, a proletarian revolutionary party from the viewpoint of the theory which guides it, the organizational principles upon which it is built, and its political program. The Party of Labour of Albania has always preserved intact its proletarian character and has faithfully realized the leadership of the working class at all stages and in all fields of the life of the country. The Party has educated the leading cadres and all the communists, even those who do not come from the working class, with the proletarian ideology, with the spirit of loyalty to the cause of the proletariat and socialism. By means of its own Party, the Albanian working class has been able to overcome all the obstacles to carrying out its leading role which resulted from the backward agricultural and semi-feudal situation of the country, from its still incomplete development as a class, from the low ideological, technical and cultural level in the period of the Anti-fascist National Liberation War and in the first post-Liberation years. In the period of the construction of socialism it has increased in numbers, has been formed as a new industrial working class, developed from the technical and cultural points of view, gained great political and ideological tempering and maturity and achieved a high level of organization. This has further strengthened its role as the leader of the entire life of the country and the organizer of the construction of socialism and communism. With the radical changes in the class structure, with the growth and tempering of the working class, the Party has been increased and strengthened with the finest members from the ranks of this class. Since the year 1970, members from the working class have comprised the biggest group in the total membership of the Party. The PLA has been able to play the leading role in the revolution and the socialist construction of the country because it has worked out and consistently applied a revolutionary general line. This line has always responded to the political, economic, social and cultural demands of the masses, to the fundamental interests of the people and the Homeland, and to the interests of socialism on both the national and international levels. In working out its political line, the PLA has always been guided by the principles of Marxism-Leninism and the objective laws of the revolution and socialism from which these principles derive. It has applied the Marxist-Leninist principles in a creative way; to this end it has based itself firmly on analysis of the concrete social conditions of the country and the ratio of class forces within the country. It has also learned and profited from the experience of the sister parties and the international communist movement, but it has not copied this experience or used it mechanically. It has always been clear that the Marxist-Leninist principles and the revolutionary experience of the other sister communist parties cannot provide it with its own complete, political ready-made line. To work out this line, it is necessary for the party of the working class to rely on its own great experience which is gained in revolutionary practice. For this reason, at the beginning of each historical stage, the PLA has been able to lay only the basis of its own general line, and has enriched and completed it later in the practice of the revolution and the socialist construction. It is in revolutionary practice also that the correctness of the political line of the Party has been verified. In order to keep this line always correct and revolutionary, the PLA has never hesitated to make corrections on all occasions when the objective national and international conditions have changed, when specific decisions have been proved incorrect by practice, when life has shown that forms and methods borrowed from abroad have been inappropriate to the national reality. It has corrected mistakes in good time and not allowed them to become consolidated and incurable, and has not permitted the development of opposite lines and anti-party trends. The working out and the application of the line of the Party have always been characterized by adherence to proletarian principles. In defining and accomplishing any task and solving any problem, in all its stands and actions, the Party has viewed and judged the various phenomena and events from the proletarian class standpoint. Its adherence to proletarian principles has been the main factor that has enabled the PLA to define the objective and programmatic tasks of each stage of the revolution correctly, to avoid falling into opportunism, sectarianism, pragmatism and subjectivism, to grasp more readily which is the key issue in a series of problems, to always have its perspective clear, to find its bearings better in the complicated internal and external circumstances, to foil the interference of the various revisionists in its internal affairs, to work out and apply its own, independent, Marxist-Leninist internal and foreign policy. The policy of self-reliance, which the Party has applied continuously and persistently ever since its founding, in particular is an expression of its adherence to proletarian principles. This revolutionary policy has its roots in the great Marxist- Leninist principle that the internal factor is the determining one, while the external factor is auxiliary. Guided by this policy of the Party, the Albanian people did not beg freedom and independence from imperialist rulers and internal enemies, nor did they wait for others from abroad to bring them these things. Likewise, they have never made the construction of socialist society, the development of the economy and culture, or the defence of the victories of the revolution, dependent on foreign aid. The principle of self-reliance found its embodiment during the Anti-fascist National Liberation War in the slogan of the Party. «Freedom is not donated, but is won with bloodshed and sacrifice!» After the war, it was expressed in the determination of the people to build socialism in any circumstances and under any conditions, by mobilizing all the internal human, material and financial forces, means and resources. The experience of the revolutionary struggle of the Albanian people, led by the Party, proves that the resolute implementation of the policy of self-reliance ensures true political and economic independence and the construction of socialist society on solid foundations and protects the independence of the country and the socialist system from the many dangers which threaten them. While relying on its own forces and considering the internal factor as the decisive one, the Party has never underestimated the external factor, the support of the proletariat and all the progressive and freedom-loving forces in the world. This support has been always powerful both during the National Liberation War and after Liberation. It is because of the principled policy it follows, the heroic struggle of the Albanian people for freedom, independence and socialism, and their determination to defend them, that Albania has won the support of the revolutionary forces abroad. The more a people are capable of winning and defending freedom and independence, and building socialism with their own forces, the greater is the support from the revolutionary, progressive and freedom-loving forces abroad. The PLA has always been able to apply its correct political line, because this line has been embraced by the masses of the people, has become their line, and the masses, together with the Party and under its leadership, have striven with all their might to put in into practice. This has been achieved because the masses have been convinced of the correctness of the line of the Party and its ability to apply this line. In convincing the masses, in making them fully understand that the line of the Party responds to their demands and interests, in establishing strong and durable links with them and in mobilizing them in struggle and work, the practical revolutionary activity of the Party and of the masses of the people under the leadership of the Party has played a decisive role. A reliable weapon in this activity has been the concrete, tangible, clear and militant agitation and propaganda, the wide-raging, differentiated, political and ideological work in many forms. Parallel with the work of agitation and propaganda, the Party has always followed the principle: words must be matched with deeds. The educational and explanatory work of the Party has always been associated with its revolutionary action, with the personal example of the communists. This has brought about that the masses have become convinced of the correctness of the political line of the Party from their own experience. For every decision it has taken and in every step of its activity, the Party has consulted the masses, has encouraged the criticism and the free expression of the opinion of the masses, has listened carefully to their demands and proposals, has always kept in mind the role of the people as the makers of history, the great principle that the revolution is the work of the masses, that socialism is built and defended by the masses, while the Party of the working class makes them conscious. The links between the Party and the masses have been built on sound organizational foundations. Only links with the organized masses are true and durable links. The PLA has set up various social organizations of the masses as links which connect the Party with the masses, as powerful levers to put into practice the political line of the Party, to realize its revolutionary leadership. The programs and activity of these organizations have always been based on the policy of the Party. A very important aspect of the revolutionary practice of the Party to maintain and to strengthen its links with the masses, to project the Party itself and ensure that it will not be destroyed by the attacks of the class enemies, is its courage and revolutionary stands in the face of the many difficulties it has encountered on its way. The Party has always prepared itself and the masses of the people to cope with the most difficult and complicated situations which inevitably arise in the course of the revolution. Consequently, it has never been taken by surprise in the grave situations created by the enemies. In these situations, the Party has not lost it head, has not been seized by panic or fallen into pessimism or inaction, has not lost its faith in its own forces or those of the people. It has not been cast into despair because of the losses inflicted by the enemies’ attacks. At all critical moments, the Party has acted with wisdom, maturity and courage, has told the masses the truth about the situation, has appealed to them, has relied firmly on them, and has always emerged triumphant. In difficult situations the Party has manoeuvred with flexibility, but has never lost sight of its strategic objective and tasks. In such situations the durability of the links of the Party with the people has been tested and these links have been further cemented. The PLA has ensured the uninterrupted development of the revolution. This revolution has passed through three main stages: the anti-imperialist democratic stage of winning national independence and the establishment of the people’s state power; the stage of the construction of the bases of socialism; the stage of the complete construction of socialist society, which is in progress. The three stages have developed, not only without interruption, but also interwoven with one another. One stage has prepared the premises for the next stage. In the course of the revolution in Albania there have been no big retreats or zigzags, because there have been no ebbs caused by objective conditions and because the PLA, the leader of the revolution, has always followed a correct Marxist-Leninist line. Among the many political, economic and ideological tasks of the revolution at a given period, the PLA has brought to the fore one or the other fundamental task, according to the concrete social conditions and the problems which had to be solved, but it has always kept in mind that only the uninterrupted development of the socialist revolution in all fields, in the entire mode of production and the superstructure, ensures the steady advance towards communist society. The PLA has ensured the victory of the revolution, in the first place, through the revolutionary solution of three key issues: the uniting of the masses of the people in a single front around the Party; the organization of the armed uprising to overthrow the old state power, the creation of the people’s armed forces and the all-round preparation of the people for the defence of the victories; the establishment and ceaseless perfecting of the dictatorship of the proletariat. The unity of the people around the Party is embodied in the Democratic Front (the direct continuation of the National Liberation Front). By means of the Front, the Party succeeded in uniting the classes, strata, the separate groups and elements — allies of the working class, at the various stages of the revolution, in one big political organization. By means of the Front, it was made possible that none of these allies remained outside the influence of the proletarian policy and the leadership of the Party. The Front provided the broadest political support for the Party and the people’s state power. The Democratic Front was established as, and always remained, a voluntary union of the masses of the people from below, and not a coalition of political parties. At all stages, it has been based on the alliance of the working class with the working peasantry under the leadership of the working class. Its broadest base has been the working peasantry. 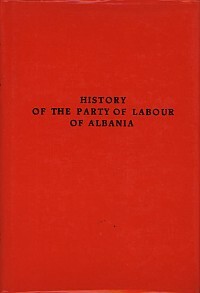 The Party of Labour of Albania has always been the sole leading force of the Front and the only political party in it. In Albania there have been no real bourgeois political parties and none were formed even after the founding of the Communist Party of Albania. The CPA was not opposed to the setting up of other anti-fascist parties, or against collaboration with them in the cause of waging the war against the occupiers, had such parties been formed. But it fought and destroyed such political organizations as Balli Kombëtar and Legaliteti which were set up by the big landowners and the reactionary bourgeoisie with the encouragement and support of the Italian and German occupiers, and which tried to destroy the Party and the Front and to prevent the triumph of the people’s revolution. The Party also wiped out the attempts which were made after the war by bourgeois and landowner elements, with the encouragement and support of the US and British imperialists, to create reactionary political parties as weapons for the overthrow of the people’s state power. The historical fact that, besides the PLA, there have been no other political parties in the country, has been very advantageous to the working class, the people, the revolution and socialism in Albania. This has assisted the Party to carry out its leading role as the party of the working class better and more easily in all the stages of the revolution. The PLA’s being the only political party in the country facilitated the exercise of socialist democracy for the masses of the working people after the triumph of the people’s revolution. The Party of Labour of Albania has expressed and defended the interests not only of the working class, but also of the working peasantry and all the Albanian people united in the Democratic Front, while viewing these interests from the angle of socialism. The PLA has always regarded the unity of the people in the Front as a unity of classes, strata and people who are linked by common interests and aims for one or more definite historical stages. This unity was created and strengthened in the war for freedom, national independence and socialism, in the irreconcilable struggle against internal and external class enemies. On the one hand, the Party has combated sectarian manifestations, cases of confusing elements of the people with the enemies, of assessing non-antagonistic contradictions as antagonistic, of lack of patience to work with those who are politically unclear, etc. On the other hand, it has combated manifestations of opportunism — cases of lack of vigilance towards the class enemy or the softening of the class struggle in the ranks of the Front, the tendencies of opportunist elements to fail to safeguard the complete ideological, political and organizational independence of the Party in the Front, or its role as the sole leadership in it. This struggle has been essential to the continuous preservation and strengthening of the unity of the people in the Front. The revolution in Albania triumphed by means of the people’s armed uprising and is defended by the armed people. In the concrete conditions, this uprising could not be an immediate outburst. The development of the uprising was a whole process, which began with anti-fascist demonstrations and small fighting actions and was raised, step by step, to the general uprising of the people. The organization of the armed uprising, aimed at raising the masses of the people in armed struggle, absolutely demanded the preparation of a people’s national liberation army, which would be capable of defeating the enemy armed forces, destroying the state apparatus of the enemy, liberating the country from the occupiers, ensuring the establishment of the people’s state power and becoming the defender of this state power. To fulfil such tasks it was absolutely necessary that this people’s army should be organized as a regular people’s army of the new Albanian state. In the first stage, the basis was laid for the general armed uprising and for the organization of the regular national liberation army. In this stage guerrilla units, regular partisan çetas and battalions and volunteer territorial self-defence units were set up, and the general moral-political preparation of the masses of the people for the armed uprising was carried out. In the second stage, the war was turned into a general uprising of the people, the partisan çetas and battalions were organized in the centralized National Liberation Army, led by a general staff. The partisan brigades and groups were formed in this stage. The military administration in the rear was set up, too. In the third stage, the people’s general uprising led to the expulsion of the occupiers and the complete liberation of the country, to the wiping out of the reactionary organizations and armed forces, tools of the occupiers, to the complete destruction of the state apparatus of the occupiers and traitors. In this stage, the National Liberation Army as a whole was changed into the regular army of the Albanian people and the Albanian state of people’s democracy. The uprising found its inspiration and began in the cities. As it extended and grew stronger, the centre of gravity passed to the countryside. The countryside became the main base of the uprising and the peasantry its main force. At the same time, the uprising as a whole was being extended and deepened in the cities, too. The main form of the armed struggle was the partisan war. The partisan fighting actions were outstanding for their character of unceasing attacks, for their skilful use of manoeuvre with many rapid movements, for their use of surprise, for the great initiative of the commands at all levels, for their perfect exploitation of the terrain. The masterly use of the tactics of partisan warfare, the high morale of the fighters and the support and direct participation of the masses of people in the war neutralized and overcame the superiority of the enemy in numbers and, especially, in fighting equipment, ensured the preservation of the forces of the people’s army, and a very high level of losses or the wiping out of its opponents. The people’s armed forces which, together with the insurgent people, ensured the victory of the revolution, served as a powerful and irreplaceable support for its triumphant and uninterrupted development in all fields, for the defence of their victories from the hostile aims and activities of the internal reactionary forces, the imperialists and the modern revisionists. The People’s Army is one of the most important weapons of the dictatorship of the proletariat. The State Security organs are the vigilant eyes of this dictatorship. With the consolidation and perfecting of the political power in the process of the socialist construction of the country, the armed forces improved their organization, armament and military equipment, their training and fighting and political capacities. The socialist state and the people have spared nothing for the unceasing strengthening and modernization of the people’s armed forces. The PLA has shown continuing concern for the strengthening and preservation of the profoundly popular character of the armed forces, of their links with the people, their revolutionary tempering and the leadership of the armed forces by the Party. The regular armed forces are only a part of the armed people. The socialist Homeland is defended by the entire people who undergo military training for a people’s war, the most reliable means to wipe out aggressors. The Party of Labour of Albania has fully applied the Marxist-Leninist principle of arming the people and giving them military training, making sure that the broad masses of the people are both the builders and defenders of socialism. The people’s power in Albania was born in the war for national liberation as the dictatorship of the democratic revolutionary forces, whereas immediately after the liberation of the country it began to carry out the functions of the dictatorship of the proletariat. It was established by smashing the political power of the occupiers, the landowners and the reactionary bourgeoisie to its very foundations. Before the country had been entirely liberated, the problem of the state power had been solved in favour of the revolutionary forces. Evaluating the question of the political power as the fundamental problem of the revolution, the Party linked the war for national liberation closely with the seizure of power by the revolutionary masses of the people. Therefore, parallel with the extension and strengthening of the armed struggle, the people’s power was built and strengthened on the ruins of the old state power. On its part, the new state power served as a reliable support for the people’s armed uprising. By launching the slogan «the national liberation councils — the only state power of the people in Albania,» the Party prepared the masses to completely destroy the state power of the occupiers and the traitors and to prevent the re-establishment of the old bourgeois-landowner state power. In this way the Party also ensured its undivided leadership in the new state power which it created. When the necessary conditions had been prepared, the Party immediately organized the formation of the new Albanian state of people’s democracy with the revolutionary democratic government as the only government of the Albanian people, without waiting for the prior liberation of the entire country. In accordance with the will of the broad masses of the people and not forgetting for one moment the perspective of the development of the national liberation revolution into the socialist revolution, the Party never shared the power with the bourgeoisie, but kept inviolate the leadership of the working class in the new political state power. It defeated the pressure which internal reaction and the US and British imperialists exerted during the war and in the early post-Liberation years, to bring representatives of the landowners and the reactionary bourgeoisie into the leadership of the people’s power. It also defeated the treacherous stands of the opportunist elements in its own leadership, who surrendered to the enemy pressure and agreed to share power with the bourgeoisie. The basic organs of the dictatorship of the proletariat are the people’s councils, the direct continuers of the national liberation councils. The dictatorship of the proletariat served, and still serves, as the decisive weapon for the uninterrupted development of the socialist revolution in all fields and for the defence of its achievements. The socialist democracy, which has been continuously extended and consolidated, is realized by means of the dictatorship of the proletariat. It is also the means of ensuring that the working class, the cooperativist peasantry and the working people exercise power, both through the representative state organs and directly, and take part actively and extensively in running the country. A very important means of the participation of the masses in running the country is the direct worker and peasant control, which is exercised over everybody and everything, over all the activity of the state and economic organs, the administrative apparatus and the cadres. Like the dictatorship of the proletariat, as a whole, this control is guided by the proletarian ideology and policy of the Party. The foundation of the dictatorship of the proletariat is the alliance of the working class with the working peasantry, under the leadership of the working class. The Albanian peasantry has always looked on the dictatorship of the proletariat as its own state power, because this is the first and only state power which has fulfilled its age-old dreams and desires, which has ensured it liberty and the land, which has lifted it out of poverty and backwardness, and has guaranteed its rapid progress in all fields on the socialist road. The PLA has fought consistently against any manifestation or tendency of opportunist elements for the liberalization of the state power, for turning it into «a democracy for all», as well as against the disease of bureaucracy. This struggle has been essential to preserve the proletarian character of the people’s state power, to avoid its becoming divorced from the masses of the people, and to prevent the bourgeois-revisionist degeneration of the dictatorship of the proletariat. The PLA regards the struggle against bureaucracy and liberalism as an aspect of the class struggle. As such, it will continue for as long as the class struggle goes on. The dictatorship of the proletariat is also a decisive weapon in the hands of the Party, the working class and the other working masses for the complete construction of socialist and communist society. The PLA follows the course of the preservation, strengthening and continuous perfecting of the dictatorship of the proletariat until classes have completely disappeared and any external danger to communist society has been wiped out. In the economic field the revolution has achieved two main objectives. First, the economic base of the landowners and the bourgeoisie has been eliminated, private ownership of the means of production has been wiped out and replaced with socialist social ownership, both in town and countryside. Second, the economic backwardness and the one-sided structure of the economy, which consisted mainly of small-scale agricultural production, has been liquidated, and a new, multi-branched structure has been built, consisting of large-scale industrial and agricultural production, relying mainly on the use of modern technique. For the establishment of socialist relations of production, the Party did not wait for the productive forces, which had remained backward, to be developed to a high level. It built these relations (first in the cities and later in the countryside) before the construction of an adequate material-technical base had been completed. Parallel with the development of the productive forces, the Party has continuously perfected the socialist relations of production in all fields — ownership, distribution, circulation and the planned management of the economy, without allowing any great disparity to develop between them. Thus, the socialist relations of production have always served as a sound support and a powerful impulse for the development of the productive forces at rapid rates. The remnants of feudal relations were wiped out by means of the Land Reform which expropriated the landowners without compensation and gave the land to the poor peasants. Since this reform was carried out under the conditions of the development of the socialist revolution, it also affected the capitalist relations in the countryside. By means of nationalization, the big and medium capitalist property in the city was liquidated and replaced by socialist social property. The form of state capitalism was not used. The nationalization was carried out in a profoundly revolutionary way, based on expropriation without compensation. The private property of the small-scale producers of the towns was changed into socialist property by means of the voluntary uniting of these producers in cooperatives of artisans which, in the long run, merged into state enterprises. The private property of small-scale producers in the countryside was changed into cooperativist social property by means of the collectivization of agriculture. The collectivization was begun and completed without the prior nationalization of the land owned by the small producers and which, according to the law, they could not sell and buy, and without waiting for the prior industrialization of the country, but parallel with the rise and development of the new socialist industry. In the process of the collectivization of agriculture and the development of industry, the material-technical base of large-scale socialist production was created in the countryside, too, while the nationalization of the land was carried out de jure in the new Constitution of 1976. The collectivization of agriculture was done on the basis of convincing the peasantry of the superiority of the socialist system of agriculture. With the help of the Party, it created this conviction from its own experience. The Party has always strictly applied the Leninist principle of the free will of the peasants to unite in cooperatives. The middle peasants, like the poor peasants, embraced the road of collectivization and entered the cooperatives en masse. The only form which was used for the collectivization was the agricultural cooperative of production, based on social ownership of the means of production, work in common and the distribution of the product solely on the basis of the work done by each member of the cooperative. The socialist industrialization of the country served as the main key to the development of the productive forces and the construction of a many-sided economy. Industrialization created real possibilities for the setting up and development of new branches of the economy, for the creation of an advanced, multi-branched agriculture and for its intensification. In the socialist industrialization of the country, priority has always been given to the setting up and development of heavy industry. Consequently, the proportion of production of means of production has constantly increased. At the same time, special importance has been attached to the rapid development of light industry. The Party has also tried to ensure a harmonious development of industry and agriculture. Only with the support of both legs — industry and agriculture, can the construction of a strong, stable and independent economy and its rapid and uninterrupted development be assured. The management of the economy and the socialist construction has been a democratic, centralized management on the basis of a unified, general state plan. The new multi-branched socialist economy has been built and developed and the material-technical base created, relying mainly on the internal human and financial resources, natural assets and other means. The Albanian people themselves, under the leadership of the revolutionary Party of the working class, have built this economy. In this way, the PLA, by means of the dictatorship of the proletariat, has ensured: the transition of the country from a backward, semi-feudal situation directly to socialism, bypassing the phase of developed capitalism; the rapid-rate development of the people’s economy on the road to socialism; the economic independence of the country as an indispensable factor for the preservation of its political independence. The PLA has closely linked the build-up and development of the socialist economy with the development of the people’s culture, ensuring the uninterrupted development of a real cultural revolution. The Party has regarded the development of culture and the cultural revolution, on the one hand, as part of the program of the development of the productive forces, and on the other hand, as part of the ideological revolution. From the former standpoint, by means of its policy, revolutionary activity and the socialist state, the Party has achieved: the elimination of the cultural backwardness inherited from the past; the transformation of education and culture from a privilege for a minority of the well-to-do into an asset of the broad masses of the people; the training of an army of cadres and specialists of various profiles, with higher and secondary schooling, to fulfil all the needs of the economy, culture and state management; the educational and technical qualification of the masses of workers, farmers and office staff; the development of a profound technical-scientific revolution. From the latter standpoint, the Party has established a progressive revolutionary educational system, science and culture with a proletarian, Marxist-Leninist content; it has trained cadres, specialists, workers and cooperativists with schooling, people of art and culture, loyal fighters in the service of the people, the revolution and communism. The Albanian socialist culture embodies the harmonious combination of the national with the international, of the progressive tradition with the revolutionary new, while the proletarian ideology is always predominant in it. In working out its political line and in all its activity, the PLA has proceeded from the Marxist-Leninist principle that the class struggle is an objective law and the main motive force of society until classes disappear completely, in communism. The consistent application of this principle has enabled the Party, at every stage of the revolution, to follow a correct line on the class struggle, as an organic part of its general line and an indispensable condition for the uninterrupted development of the revolution, for the triumph of socialism over capitalism, for the defence of this victory and the achievement of still greater ones. the struggle to liquidate the economic base of feudalism and capitalism and for the construction, strengthening and development of the economic base of socialism; the struggle to defeat any resistance or hostile activity of the exploiting classes and for the elimination of these classes; the struggle against the remnants of these classes; the struggle against new capitalist elements; the struggle against traitors to the Party, socialism and the people; the struggle against reactionary, patriarchal, feudal and bourgeois concepts and outdated customs; the struggle against the petty-bourgeois psychology in regard to property, work and life style; the struggle against the ideological aggression from abroad and bourgeois and revisionist ideology in general; the struggle against the policy and activity of aggression, oppression and exploitation of the imperialists and social-imperialists; the struggle against modern revisionism and international reaction. In order to follow a correct line in the class struggle, the definition of the main class enemies in one or other stage of the revolution is of great importance. During the period of the Anti-fascist National Liberation War, the main enemies were the Italian and German fascists, therefore the main blow of the struggle was directed against them. In the conditions when the Party was pursuing the line of uniting the whole people in the National Liberation Front, without discrimination as to class and political conviction, it made many efforts to prevent the contradiction between the masses of the people and the landowners and the big bourgeoisie from being turned into a principal antagonistic contradiction. However, the landowners and the reactionary bourgeoisie, with their political organizations — Balli Kombëtar and Legaliteti, regarded the Communist Party and the National Liberation Front as the main enemy. They opened armed struggle against the Party and the Front and tried to destroy them by uniting in a single front with the occupiers. In these circumstances, the Party and the Front were forced to fight and totally destroy the organizations and armed forces of internal reaction by the use of revolutionary violence. Thus, the war against the occupiers was interwoven with the struggle against the main local exploiting classes, tools of the Italian fascist and German nazi enslavers. As a consequence, the National Liberation War led not only to the liberation of the Homeland from the foreign invaders, but also to the overthrow of the main exploiting classes of the country and stripping them entirely of political power. During the period of socialist construction, the main class enemies have been: inside the country — the overthrown exploiting classes, and after their elimination, the remnants of these classes and the traitors; outside the country — imperialism, headed by the US imperialists, and later, the Soviet and Chinese social-imperialists. The PLA has fought modern revisionism, the offspring and agency of imperialism, with special severity. The irreconcilable principled struggle which it waged from the start against the Yugoslav revisionists equipped it with great revolutionary experience and the keenness of eye to be able to recognize and to fight more effectively and with greater determination against the Khrushchevite revisionists, the Chinese revisionists and the other revisionist trends. International modern revisionism constitutes a savage enemy of the proletariat and the peoples, of the communist and liberation movement world-wide. The PLA considers the struggle against revisionism in the ideological and political fields as an essential condition for success in the fight against imperialism and social-imperialism, to ensure the ultimate victory of the socialist revolution in Albania and on a world scale. In the course of waging and leading the class struggle correctly, in all the stages of the revolution, against internal and external enemies of the people and socialism, the PLA has gained a high level of vigilance and tempering as a revolutionary party of the working class. The PLA has always worked and fought as a detachment of the international communist and worker movement. By ensuring the victory of the revolution and the successful construction of socialism in its own country, it has, at the same time, carried out its fundamental internationalist duty to the proletariat and the world proletarian revolution. In the struggle for national and social liberation and the socialist construction of the country, the PLA has never isolated itself from the world revolutionary movement. On the contrary, it has always felt the need for the powerful support of this movement, has properly appreciated the importance of this support and has always relied on the help of the other Marxist-Leninist parties, the people’s liberation movement, and especially on the assistance of the socialist countries, both in the war for national liberation and in the construction of socialism. The PLA has educated the Albanian communists and the whole Albanian people in a profound spirit of proletarian internationalism. The Great October Socialist Revolution has always been close and dear to the hearts of the Party of Labour and the working people of Albania. The lessons from the October Revolution, the experience of the Third International, in general, and of the Bolshevik Party, in particular, have served to guide the Party of Labour of Albania and the Albanian working people on their revolutionary course and inspired them in the fight for freedom, independence and socialism. In the hearts of the communists and the entire people, the PLA has implanted the feeling of sincere and ardent love for the proletariat, the peoples and all the revolutionary forces of the world. The Albanian Party and people have nurtured boundless love and loyalty for the first socialist state, created by V.I. Lenin and J.V. Stalin, which emerged from the October Revolution. This love and this loyalty have always been based on the principles of Marxism-Leninism. When the Khrushchevite revisionists emerged at the head of the Soviet Communist Party and the Soviet state, the PLA declared principled, uncompromising war on them, while coming out in defence of the glorious road of the Bolshevik Party and the Soviet peoples, in defence of J.V. Stalin and the lessons of October, which were trampled underfoot by the revisionists, and this it regarded as its internationalist duty. In the context of the struggle in defence of Marxism-Leninism and socialism on an international scale, the PLA defended the CP and PR of China at the most difficult moments they have experienced, undaunted that by so doing it would draw upon itself all the fury and fire of the US imperialists, the Soviet social-imperialists and modem revisionists. However, when the betrayal of the Chinese leaders, the bourgeois-revisionist character of their ideology and policy and their aim of turning China into a social-imperialist power became clear, the PLA did not hesitate to declare irreconcilable war on Chinese revisionism and social-imperialism, with the same determination as on Soviet revisionism and social-imperialism. With the Marxist-Leninist parties and the socialist states, the PLA has always pursued a policy of establishing and consolidating fraternal relations of sincere collaboration and aid for one another, on the basis of Marxism-Leninism, proletarian internationalism, and the struggle against imperialism and revisionism. The PLA has always expressed its solidarity with the revolutionary forces of the world. It has unreservedly supported the struggle of the world proletariat against capitalist oppression and exploitation, as well as the liberation struggle of the peoples against imperialism and reaction, regarding their struggle and victories as its own struggle and victories. With its principled, determined and consistent struggle against imperialism and modern revisionism, the PLA has defended Marxism-Leninism as the only scientific theory of the revolution and the construction of socialist and communist society; it has defended the socialist camp and the international communist movement from the aims and attempts of the imperialists and revisionists to split them and wipe them out. Following the split and bourgeois degeneration caused by the modern revisionists in the socialist countries and the communist and workers’ parties, the PLA held high the banner of proletarian internationalism, fighting for the revival of the international communist movement on a revolutionary Marxist-Leninist basis, without revisionists and traitors and in irreconcilable struggle against them. It hailed the formation of new Marxist-Leninist parties in the upsurge of the struggle with the revisionists and showed itself ready to collaborate with them, on the basis of Marxism-Leninism and the independence of each party, for the achievement of this objective. At the same time, the PLA has followed a policy of collaboration between the new Albanian state and non-socialist states, irrespective of their political and social systems. In the relations of the Albanian socialist state with the other socialist or non-socialist states, the PLA has applied the revolutionary principle of respect for national sovereignty and has not permitted any external interference in its internal political, economic or military affairs. The application of the correct political line of the Party has been ensured by adhering to a correct organizational line, founded on the Marxist-Leninist principles and norms of the internal life of the revolutionary party of the working class. The main characteristic of the internal life of the PLA is the revolutionary application of the Marxist-Leninist organizational principles and norms. In applying democratic centralism, which is the basic principle of the organizational structure of the Marxist-Leninist party, in a revolutionary manner, the PLA has always regarded the two aspects of this principle (centralism and democracy) as aspects complementing and not excluding each other. The integral combination of centralism with democracy in the internal life of the Party has protected it both from bureaucracy and from liberalism and has prevented it from turning into a bourgeois-revisionist party. Collective leadership and iron discipline are two of the main elements ensuring the application of democratic centralism. The revolutionary application of collective leadership has ensured that: the decisions of the leading organs and the party organizations are the result of the collective opinion which is always the most profound, mature and correct opinion; the collective leadership, which is the most reliable leadership, is not weakened; the leadership does not become the monopoly of certain individuals or workers of the apparatuses, something which would threaten the Party with loss of its proletarian character. The revolutionary application of the discipline in the Party has ensured that no party member, whatever his function in the Party, the state power, the economy or elsewhere, is absolved from this discipline, that each member renders account in the basic organization of the Party or the leading organ on his work and behaviour, on the fulfilment to the letter of the requirements of the Party Constitution and the tasks he has been charged with, that he is profoundly conscious of his responsibility as a party member and a communist cadre, that the party member is always an exemplary vanguard fighter. The revolutionary application of the Marxist-Leninist principles and norms in increasing the ranks of the Party with new members has been of decisive importance. The requirement of the Constitution that any working man or woman who accepts the program and Constitution of the Party and who works actively to put them into practice, who takes part and works in one of the party organizations, carries out all the decisions of the Party and regularly pays membership dues can be a member of the PLA, as well as the orientation of the CC to give priority to the admission of workers to the Party — to increase its ranks with more working people from industrial and agricultural production, have never been applied mechanically or formally. While keeping in mind this requirement and orientation, the basic criterion for admission has always been the qualities of the communist as the person most pure morally, the most determined fighter for the cause of the people, the revolution and communism, proletarian in his thoughts and actions. This criterion has ensured that the very best of the best, the most progressive and determined revolutionaries are admitted to the Party. Anyone who joins the PLA understands clearly that membership of the Party does not ensure him more rights and privileges than the other working people, does not create conditions for his personal career, but on the contrary, increases his duties and calls for more work and sacrifices. The PLA has always considered the example provided by the communist, as a vanguard fighter who matches his words with his deeds, who does not yield in the face of difficulties and obstacle, who is in the forefront of the struggle and work and is always just, honest, principled, progressive and courageous, as the main means by which to convince the masses of the correctness of its line, and to establish close links with them. Just as it has been necessary for the Party to absorb fresh, healthy blood to ensure that it remains a proletarian party of revolutionary action, so it has been necessary also for it to purge itself of all those who have lost their qualities as vanguard fighters in the course of the revolutionary struggle. The Party has not allowed opportunist leniency, liberalism and sentimentality to influence the implementation of this law, as V. I. Lenin described such a purging of the party of the working class. At the same time, the Party has not permitted hasty decisions or sectarianism in this direction. Its steps have always been prudent. One of the most outstanding features of the PLA has been its monolithic ideological, organizational and political unity. It has forged and safeguarded this unity in irreconcilable struggle against opportunism and sectarianism, against factions and all internal enemies of the Party. After the defeat of the liquidationist Trotskyite trend in the first months of its existence, the views and activity of the antiparty groups and elements have never, at any time, succeeded in becoming anti-Marxist ideological trends within the ranks of the Party. This is because they have been discovered in time and combated from revolutionary positions, and because of the loyalty of the communists to Marxism-Leninism and the line of the Party. To preserve its unity and the correctness of its general line, during the whole of its existence the PLA has waged a struggle on two fronts: against right opportunism and against sectarianism and dogmatism. Until the spring of 1943 the main danger for the PLA was sectarianism. The roots of this danger were: the marked sectarian spirit which characterized the activity of the communist groups and which, with the uniting of the groups, had penetrated the ranks of the Party; the difficulty which the former members of the groups had in understanding the general line of the Party regarding the Anti-fascist National Liberation War. From the spring of 1943 until the end of the war, as well as during the whole period following Liberation, the main danger for the PLA has been right opportunism. During the National Liberation War the roots of right opportunism were: the pressure on the Party from the reactionary bourgeoisie outside the Front and the middle bourgeoisie inside the Front; the pressure of British-US imperialist reaction which aimed to prevent the victory of the revolutionary forces led by the Party. After Liberation, the roots of opportunism were: the pressure on the Party from the remnants of the overthrown classes and the kulaks outside the Front; the pressure of the petty bourgeoisie, especially the masses of the peasantry inside the Front, over some problems of the economic policy of the Party in the countryside; imperialist pressure for the overthrow of the people’s state power; the pressure of bourgeois and revisionist ideology from abroad; the pressure of old customs, reactionary ideologies, and the religious prejudices within the country. Another source of the danger of opportunism during the whole existence of the Party has been the petty-bourgeois origin of many of its members, the insufficient ideological training of a great number of communists. Although sectarianism and dogmatism have not constituted any great danger to the line of the Party after Liberation manifestations of them have been apparent in the activity of some communists in various economic, political and ideological problems. The manifestations of sectarianism have had their roots mainly in the narrow outlook and conceit of a number of communists of petty-bourgeois, peasant or artisan origin. The source of manifestations of dogmatism has been in the borrowing of the experience of other countries without adapting it to the internal conditions and without a critical examination; in the insufficient theoretical preparation and the low educational level of a good number of the communists. The struggle which the PLA has waged against opportunism, sectarianism and dogmatism, against all alien manifestations, against anti-party groups and elements, has always been a profoundly principled struggle permeated by Marxist-Leninist partisanship. In this struggle the Party has always displayed a prudent and moderate attitude towards those communists who have recognized their mistakes. At the same time, it has been stern and merciless with the enemies of Marxism-Leninism, with deserters and splitters of its unity. The PLA has always seen the struggle against opportunism, sectarianism, against all alien manifestations within its ranks, as an aspect, a reflection of the class struggle being waged within the country. The Party considers the waging of the irreconcilable, principled struggle against opportunism, sectarianism and factions within its ranks as an essential condition for the preservation of its proletarian character and for the complete construction of socialist and communist society. This struggle will continue during the entire period of the existence of the Party, because for the whole period of the transition from socialism to communism and so long as capitalism has not been defeated on a world scale, the tendency to the birth of revisionism remains an objective danger. Since its founding, the PLA has continuously devoted the greatest care to the unity of its own leadership on Marxist- Leninist foundations. This it has considered to be the primary, indispensable condition for ensuring the ideological and organizational unity of the whole Party, for working out a correct revolutionary line and putting it into practice. In order to eliminate the PLA or to turn it into a bourgeois-revisionist party, the class enemies have always begun their destructive work with efforts to create opposing trends or to sow divisions within its leadership. But in the long run, these efforts have always been defeated as a result of the struggle against factionalism and against permitting the coexistence of opposing views, against opportunism and sectarianism. Whenever it has happened that various leaders have infringed the norms and principles of the Party, it has patiently helped them to correct themselves and put them back on the right road. But whenever it has been proved that this or that leader has capitulated in the face of difficulties or the pressure of the class enemies and has deviated from Marxism-Leninism, or, even worse, has turned into an agent of the bourgeoisie and the revisionists, then the Party has expelled him from the leadership without hesitation, regardless of his former merits. What is important is that the struggle against anti-party elements and groups in the ranks of the Central Committee and the Party has always been a principled struggle; this struggle has never been allowed to degenerate into a struggle of individuals for power, as occurs in the revisionist parties. This struggle has not been waged only by the Central Committee and the Party, but by the entire people who have always had their say and helped the Party to expose and defeat the anti-Marxist views and activity of one or the other traitor or enemy group. The leaders of the Party and the state have played a major role in achieving the victories in the people’s revolution and the socialist construction. They have emerged from the ranks of the people, have been trained and tempered as political leaders and organizers of the masses in the revolutionary struggle. With their wisdom, self-sacrifice and consistent loyalty to the cause of the people and communism, with the aid and support of the Party and the masses of the people, they have won high authority, great experience of political leadership, and the love and esteem of the people. Outstanding among the leaders is Comrade Enver Hoxha. He is the founder of the PLA and has led it from the time it was formed through all the historical stages of the revolution. He has made the greatest contribution to working out its Marxist-Leninist revolutionary line. With his wisdom, determination, foresight and revolutionary courage, Comrade Enver Hoxha has ensured the consistent, revolutionary implementation of the Marxist-Leninist line and norms of the Party, has never allowed it to be diverted on to blind alleys and has brought it triumphant through all the difficult and complicated situations. In his works, Comrade Enver Hoxha has made a Marxist-Leninist theoretical summing-up of the revolutionary experience of the PLA, thus making an invaluable contribution to the treasury of Marxism-Leninism. Enver Hoxha is the most beloved teacher and leader of the whole Albanian people, united in steel-like unity around the Party and its Central Committee. The History of the Party of Labour of Albania reflects the linking and enrichment of the Marxist-Leninist theory with the practice of the revolutionary struggle of the Party of the working class and the masses of the working people in Albania. It is evidence of the colossal force of Marxism-Leninism to inspire, move and transform, when it is applied faithfully and in a creative manner by a revolutionary party of the working class. It proves that the faithful application of Marxism-Leninism in the conditions of each country leads to certain victory. The great experience which the PLA has accumulated, the tempering and maturity which it has gained on its glorious course, assist it to continue on a correct Marxist-Leninist revolutionary line in the future and to lead the Albanian people to the final victory of socialism and communism.